Today I’m showing you the last five blankets I received for Crochet For Kidneys Part 5. Our blanket total is now 31! That’s our highest number yet and means that 31 kidney disease patients will be comforted by your handmade blankets. Thank you so much! The first blanket I’m showing is from Jude Garrett. Jude also contributed last year (see her blanket here) and she told me then that her daughter will be helping with the CFK 5 blanket. And she did! Jude’s 9 year old daughter Emily helped her with the regular granny squares. Isn’t that just the sweetest thing?! And what a cheerful and bright blanket this is. 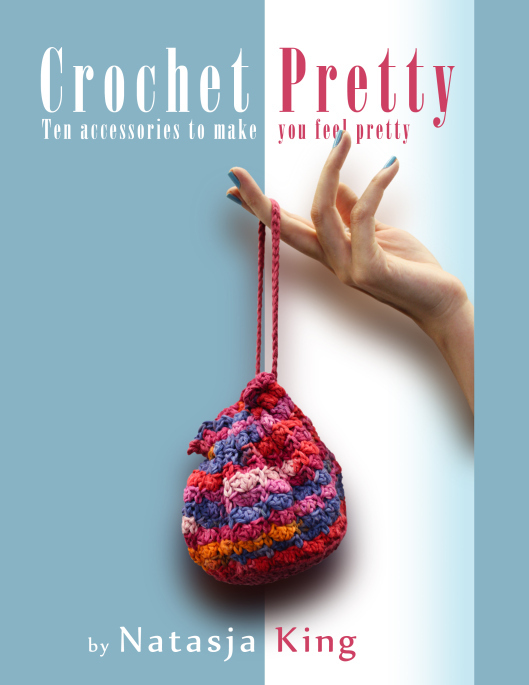 So many colours and so many different granny squares. Jude and Emily you did a great job! This white and purple blanket is from Cecilia Ockleford. Cecilia has been with CFK since the very start back in November 2013. This year Cecilia went for a super cute design of rows of purple hearts – the perfect design for a charity blanket. It takes Cecilia longer than the average to crochet a blanket because she suffers from muscle dystrophy and I feel very privileged that she would spend so much time on a blanket only to donate it to CFK. 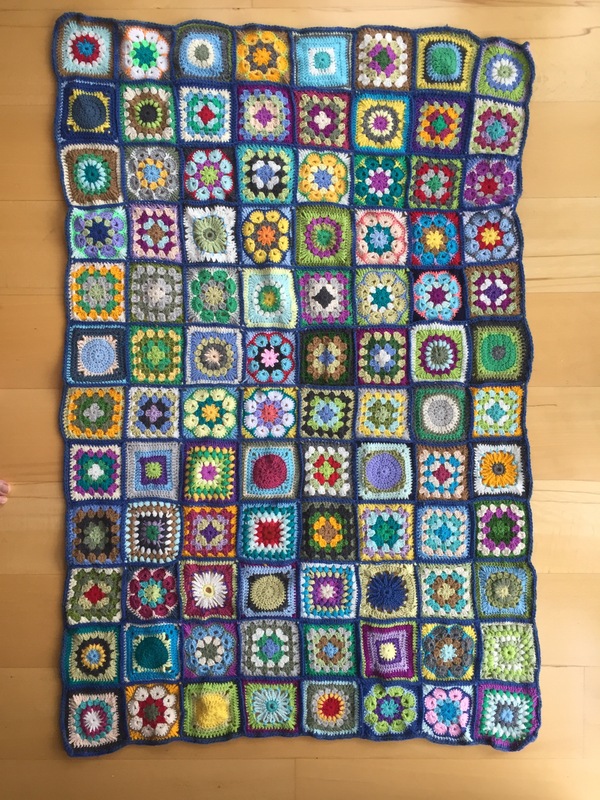 Not only did Cecilia crochet a blanket, she also donated £20 on the Justgiving page for the Royal London Hospital Kidney Patients Association. Thank you so much Cecilia, you are a true inspiration. This fun blanket is by Maria Rosko – do yourself a favour and follow her on Instagram @mariarosko. She has a beautiful feed and her photos of this blanket looks so much better than mine! 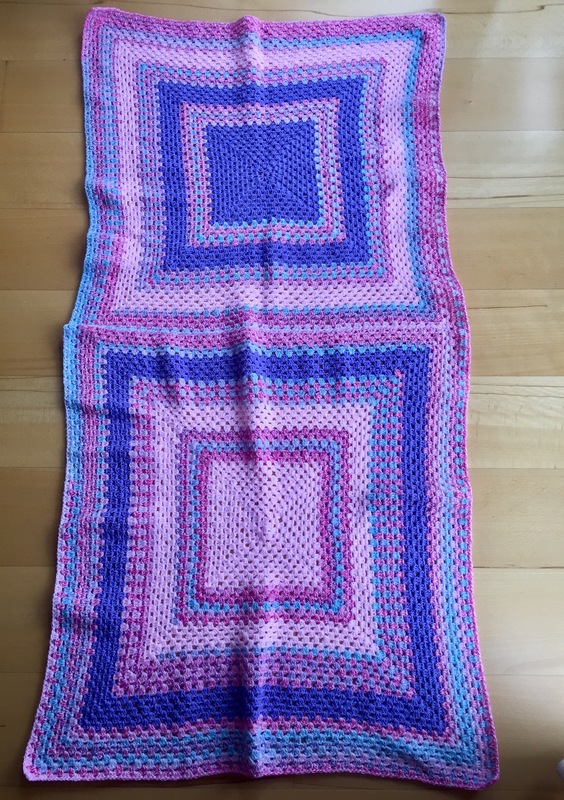 This pink and blue giant double granny square blanket was made by Tina Samways. It’s so clever to combine two huge granny squares into one blanket. Marion Nelson already contributed to CFK5 with this striped blanket, and then she went ahead and made another! She used the same muted tones for both, but they look totally different. I always appreciate receiving blankets made with only a few colours. They balance out the bright blankets so that we are able to donate blankets that appeal to the varying tastes of the patients, both male and female. Thanks Marion for toning down the crazy. Speaking of crazy, I’m driving myself crazy by not finishing the autumnal ripple blanket. Ironically I found the pattern in a book on mindfulness crochet which I am reviewing, but in stead of making me calm the colours I chose for the blanket are so uninspiring to me I’m having a tough time finishing it. But I just have to man-up and get it done, and more importantly remember that it’s not about me – it’s a blanket for someone with kidney disease going through dialysis. Working with brown and yellow is NOTHING compared to that! To everyone who has contributed to CFK 5 I thank you all for your amazing contributions, the time you put in, the postage you paid to get the blankets to me, the yarn you bought, the thought you gave to the designs and for sticking with me and Crochet For Kidneys. 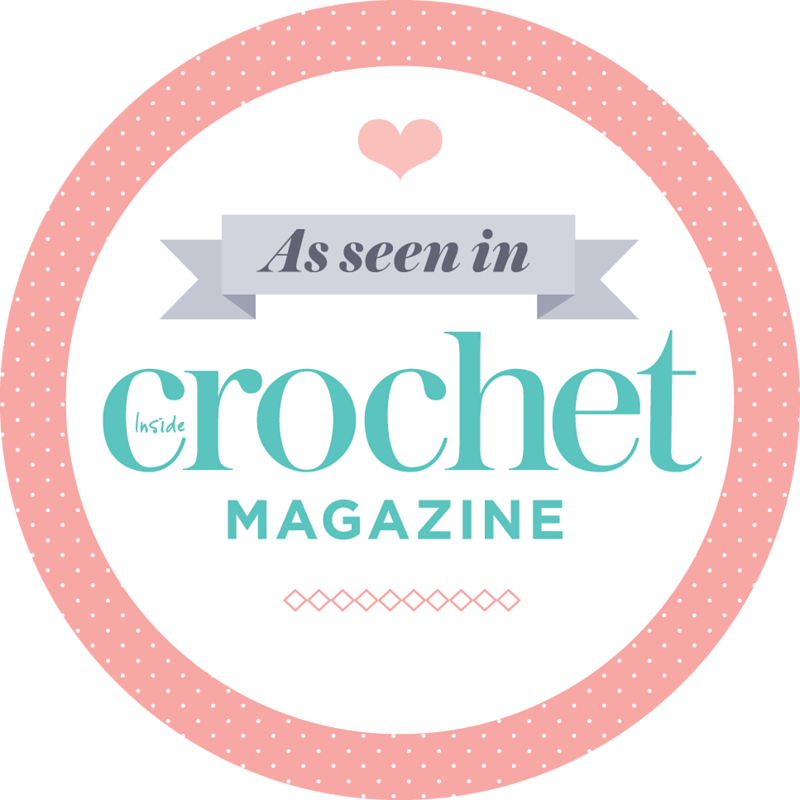 Thank you, thank you, thank you lovely crocheters! Spreading joy and care is a wonderful process. The joy of receiving, by the recipient, but also the joy of knowing that you contributed in making somebody know that people really do still care. May this venture grow from strength to strength.